Those born under this cusp are harmonious and beautiful. This period can be linked to the peak of grand cycle of life. Astrologically this is a cusp whose is been blessed with Saturn, which is parallel to Uranus. They are always full of ideas and contain an idealistic approach. Those attach with them are always attracted to their youthfulness and attractiveness. Accordingly this cusp is a combination of beauty and charm, which can be both internal and external. Influenced by Mercury and Venus they are always sensitive to their external and eternal existence. 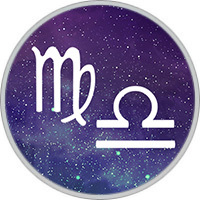 Virgo-Libras are proud of themselves to be the most trendsetters in fashion, designing art and technology. They are extremely valuable to the organization where they are affiliated. Because of their excellent marketing and managerial skill, they develop new ideas for current developments. To make their projects successful, they also work hard. Because of their outward appearance they can be superficial and glitzy. Sometime their presence is quite irritating because of their inadequate and addictive behavior. Many a times they can be fun to have as a friend, imaginative and free spirited they lend life to any party under the troublesome period they can be addicted towards drinks and gambling. They often make connection with a stable and powerful figure as an mate or a friend. They may need to maintain close partnership of some kind throughout their life otherwise they can be misunderstood also. Periodically they need to indulge their sense of touch throughout their life. Platonic relationship are often existing in these cusp. They are the people who will avoid arguments and confutation and take their way home quietly. They are lovers, harmonious and aesthetic but elitist, snobbish and addictive also. Curve your over-concern tendencies. Keep your nervous system under control. Meditation and yoga will always keep you more balanced. Your nature of searching beauty can always become the great invention so continue it.